Selling Highlands NC real estate in winter is possible. 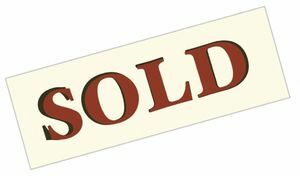 Certainly winter is not our area’s busiest selling season but homes sell all year round in our mountain community. There are steps to make to set your home up for success. Your Highlands NC REALTOR will be a great asset in helping you attract buyers this winter. So, what are the most important steps to take to help your Highlands NC home for sale ooze appeal? Start with your home’s curb appeal. A neat, clean, and inviting exterior will serve as a great welcome mat. Likewise, great photos matter. Photos that pop and make your home look its best will get it on the list of buyers conducting a Highlands NC property search. Other important steps to take include safety. Make sure the entrance to your home is well lit and free of ice. The next step is to make the interior of the home warm. This means temperature and lighting. Winter is a season for comfort and potential buyers want to feel comfortable in your home. Selling homes in Highlands NC requires some preparation. Contact our team at Berkshire Hathaway HomeServices Meadows Mountain Realty today to learn more about the selling process. We welcome the opportunity to update you on market conditions while helping you get to know what buyers are looking for at the moment. Let our knowledge and experience serve as your guide to selling Highlands NC real estate. Click here to read “Tips For Getting Your Home Sold In The Winter” from Realty Times.